#THATCampSoCal is 70% full by end of 1st week of registration! #THATCampSoCal 2012 registration 50% full in less than 48 hours! #THATCampSoCal 2012 registration 25% full after just 24 hours! New to THATCamp? 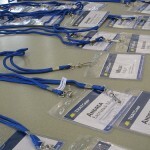 Find out why you should attend, and what a THATCamp is like!